The legendary code slinger first joined Google in 1999, and was instrumental in building core architectural elements of Google’s distributed systems, including Spanner, BigTable, and MapReduce. Now Jeff Dean is now the public face of Google forays into artificial intelligence and deep learning, and is working to further the state of next-gen AI tools like Google Brain and TensorFlow. 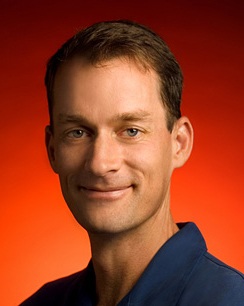 Jeff Dean joined Google in 1999 and is currently a Google Senior Fellow in Google’s Knowledge Group, where he leads Google’s deep learning research team in Mountain View. He has co designed/implemented five generations of Google’s crawling, indexing, and query serving systems, and co designed/implemented major pieces of Google’s initial advertising and AdSense for Content systems. Jeff is also a co-designer and co-implementor of Google’s distributed computing infrastructure, including the MapReduce, BigTable and Spanner systems, protocol buffers, LevelDB, systems infrastructure for statistical machine translation, and a variety of internal and external libraries and developer tools. He is currently working on large-scale distributed systems for machine learning. He is a Fellow of the ACM, a fellow of the AAAS, a member of the U.S. National Academy of Engineering, and a recipient of the Mark Weiser Award and the ACM-Infosys Foundation Award in the Computing Sciences.